Numbers 1-30! 57 color foam numerals provided to create the numbers 1-30. 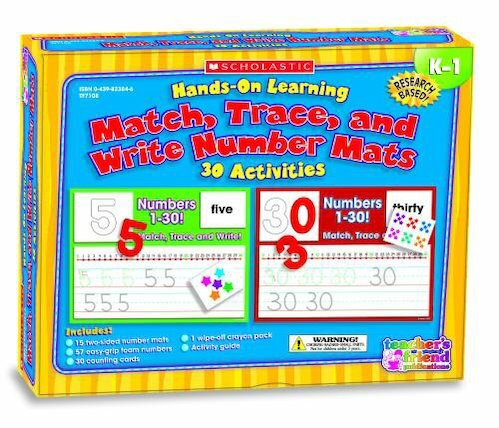 Children match, trace and write the numbers and number words on side 1 and 2 of the 15 wipe-off learning mats. 30 colorful counting cards are provided to reinforce the array of each number that must be matched correctly in each activity. Teaching guide with extension activities and a set of wipe-off crayons included. performing basic addition and subtraction computations For use with Grades K-1.